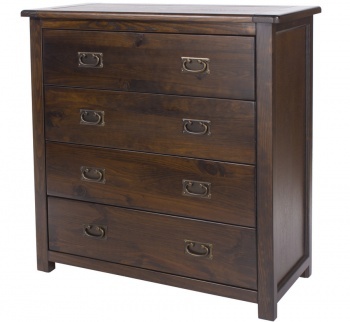 Sleek stylish design that suits most modern bedrooms. 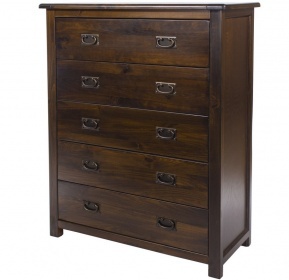 Tall narrow chest of drawers are a great way of maximising the floor space in your home. Light oak cabinet contrasts with the white fronts and modern stainless steel handles beautifully. Colour: Light oak effect and high gloss white. Flat packed for self assembly. Full instructions included. Delivered assembled option available at an additional cost. 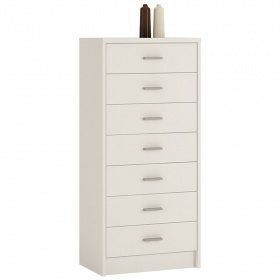 Part of the Stockholm bedroom furniture collection.